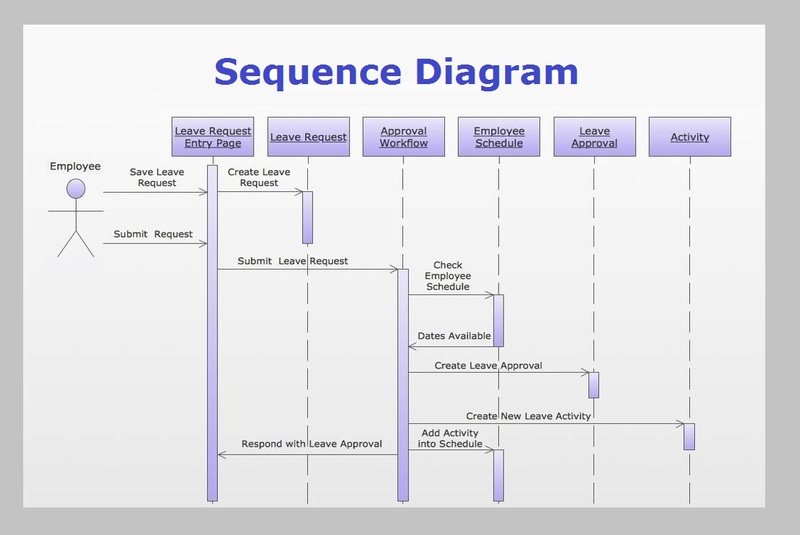 Sequence Diagram Example – Sequence Diagram – Sequence Chart – Sequence Graph – Sequence diagrams are used in IT, process engineering and management groups to depict sequence of processes, flow of information and steps needed to undertake a certain activity. An example of such diagram showing a sequence of steps that an employee has to take is illustrated below. 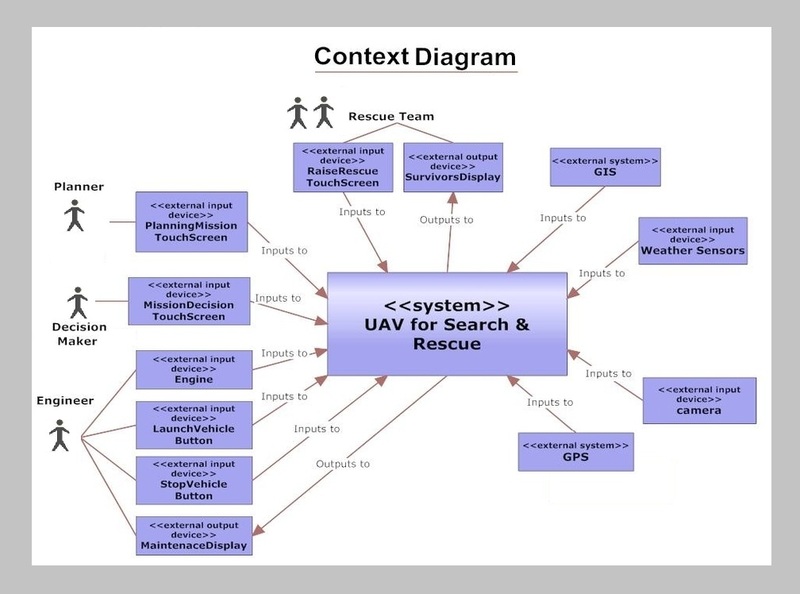 Context Diagram – Context Chart – Context Graph – Context charts are used to depict context between different system components. 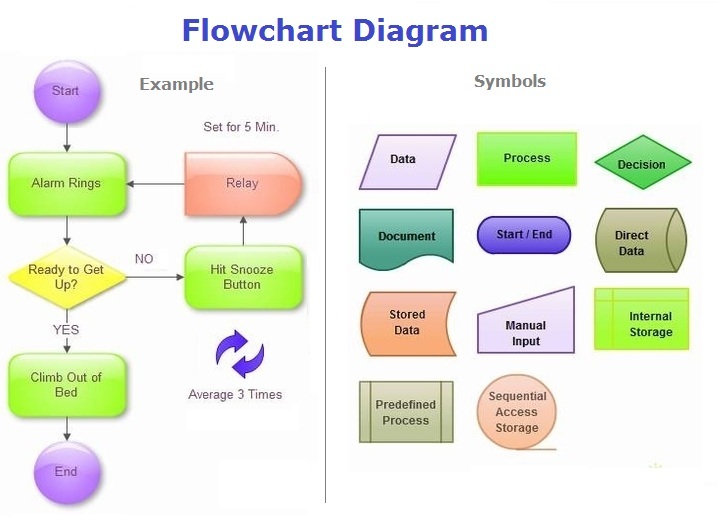 Flowchart – Flowchart Diagram – Flow Chart – Flowchart Graph – Flowcharts are visual representations of process flows, flows of information, data, goods and services. Various flowchart symbols are used to depict these types of diagrams. These symbols stand for a process, decision, system, etc. Below is an example of a flowchart with labels.